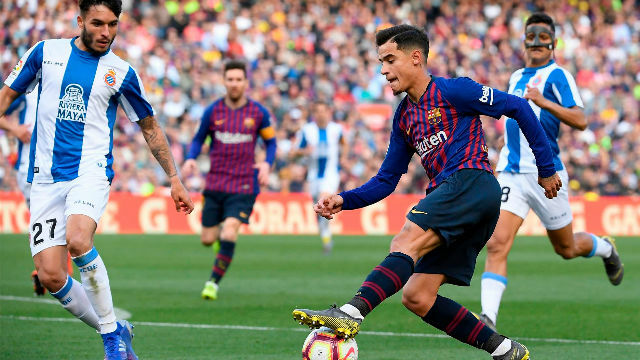 The continuity of Philippe Coutinho at Barcelona for 2019-20 needs to be confirmed. As SPORT revealed exclsuviely, the Brazilian is weighing up the possibility of leaving Camp Nou in search of a project where he will be the main man, as was the case at Liverpool. But nothing's been decided. This week, there will be a meeting between those that advise Coutinho and Barcelona technical committee, which is headed by Pep Segura. The meeting's been planned for a while. Both sides had agreed to meet after the tie against Manchester United on the Champions League. 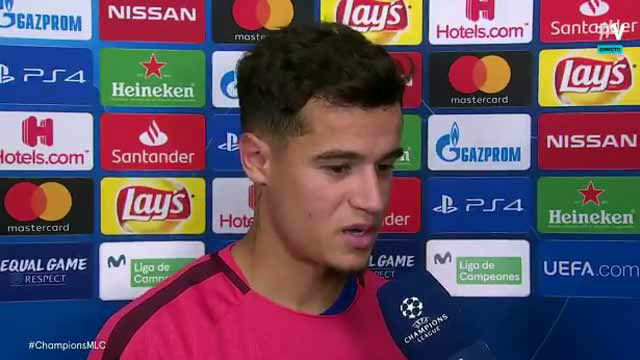 Coutinho's agents -- the Iranian Kia Joorabchian and the Brazilian Giuliano Bertolucci -- will be at Camp Nou on Tuesday to see the game against United. Afterwards, they will sit down with the Barca hierarchy. Barça are betting on Coutinho. That's the message that the club have sent to him, explicitly, in recent weeks. To his family and the people who work with him, too, so that there are no type of doubts at this crucial stage of the campaign. Despite the fact he's not been consistent this season, coach Ernesto Valverde and the club remain confident that he can deliver. He is a top player who can make the difference on the big occasions. Inside the dressing room, Coutinho has a good relationship with the heavyweights. His behavious -- personally and professionally -- has always been exquisite. Both Luis Suarez, a former teammate at Liverpool who was key in his move to Barça, and Lionel Messi have helped him through some dark days as he's began to think about life elsewhere. The Brazilian feels loved but has doubts about whether it's best for his career to stick around. One of his objectives when he joined Barça is being fulfilled: to win a lot of trophies. Last year, he contributed to the double and this year the club have already won the Spanish Super Cup and remain on track of the third treble in their history. They're nine points clear in La Liga, in the Copa del Rey final and 1-0 up on United in the Champions League quarterfinal. On the other hand, Coutinho will turn 27 in June and is thinking that it could be better to accept a new challenge. That is what he revealed to his Brazil teammates during the March international break. Barcelona aware of his feelings. For now, though, no one has communicated to the club a definitive decision one way or the other. This week's meeting could serve to clarify positions. Even though the player will listen to offers, Barça will try to convince him until the last moment to stay. There's a good relationship between everyone sat at the table.